The manufacturers of the great iStick, Eleaf, have done it again with their new sub-ohm vaping kit- IJUST S SUB OHM KIT. And we got it here at TheVape Mall. This product comes with a sub-ohm tank and a fantastic vaporizer. It is similar to the iJust 2 kit, as it features a 3000mAh battery, 4ml capacity tank, and is top-filling. peaking of the battery, the all-in-one vaporizer is one of the rare products equipped with the 300mAh rechargeable battery. 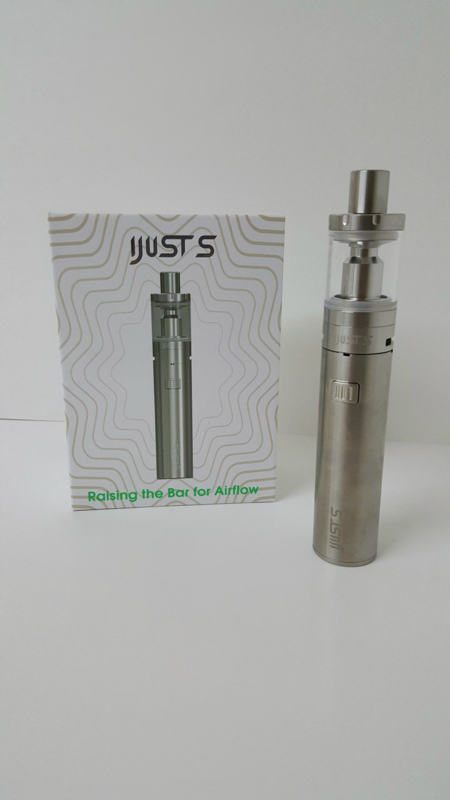 The iJust S is the solution to the go and grab a vaporizer problem. For those who need tons of vapor and pure flavor, this is a top option. For most vapers, this special product provides ample battery life. It also utilizes a voltage-based direct output system with a correlating battery. For this reason, you’ve a consistent power curve from the output voltage. In the real sense, this means that the real voltage of the product is constant at all times. Therefore, the product is capable of supplying the correct amount of power and voltage to provide a delicious vape. The iJust S is wider than the earlier versions and its body is long-lasting and durable with a 24.5mm diameter. It also has a provision of a single firing system. For this reason, it has been adopted on a massive scale. Something like a good tank, a simple battery body, and it being a grab and go vaporizer, is everything most vapers out there are looking for.